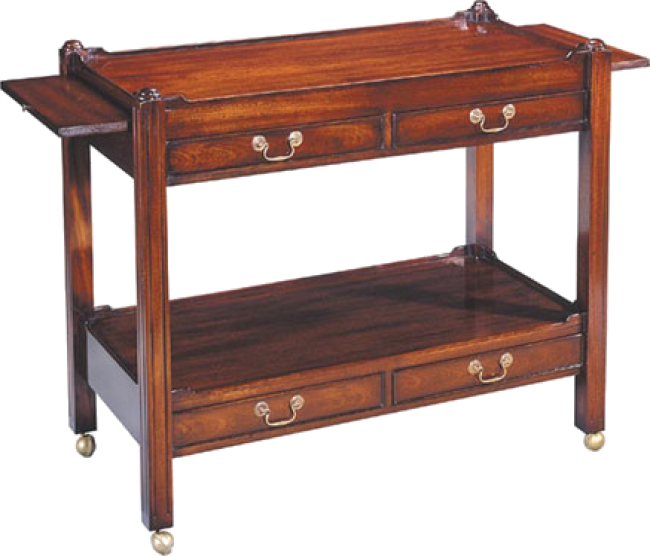 Two-tiered serving cart with raised galleries. The upper tier has two brush slides. The upper and lower tiers have two drawers each. Antiqued solid brass hardware. Carpet Casters. Pictured in Mahogany.